A wireless security camera to PC (Personal Computer) may be the solution for you if you are looking for a quick and easy self-installation video security system. Thanks to modern technological advances, the average homeowner can now afford a wireless security camera to PC system; but the are limited to residential use only. A wireless security camera to PC system makes a great video surveillance/security system for offices and businesses as well. Let’s take a brief look at how a standard non-wireless security camera system works so we can compare it to the installation, components, and operation of a wireless security camera to PC system. 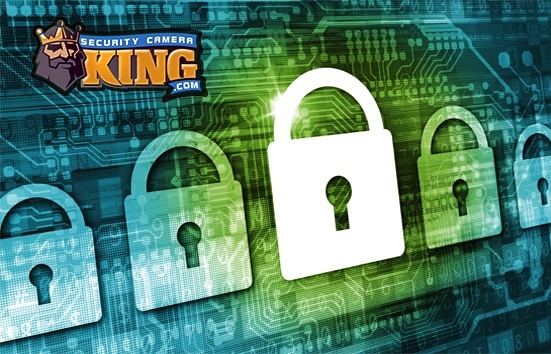 For the most part, the biggest advantage of a wireless security camera to PC system is that if you already have an existing PC you may be able to use it for your security system, greatly reducing the total cost of the system. However, let’s take a closer look. Digital video security camera systems are component systems. This means that there are basic parts or pieces (components) that are needed to make the system work. However, since they are a component system, you can use different components that are made with specific features to meet your needs. In addition, the each component can be made by a different manufacturer as well. For example, instead of purchasing a four camera system where every camera is exactly the same and may not exactly suit your needs, you can purchase four different cameras such as an indoor, an outdoor, an infrared, and a Pan-Tilt-Zoom (PTZ) camera that specifically meet the requirements of your security needs. A typical component system consists of one to several digital video cameras, a Digital Video Recorder (DVR) with a processor, and a monitor. The digital video cameras transfer light images into electronic data that is normally sent to the DVR using an RG-59 coaxial video transmission cable. The DVR has a hard disk drive just like the one found in a PC. In addition, the DVR normally has a highly specialized processor, much like the PC processor but built specifically to handle the tasks of security video processing. This processing includes applying a COmpression/DECompression or CODEC utility to make the very large digital video files smaller without sacrificing quality. This makes the files easier to handle for the processor, DVR, and monitor, including the ability to store longer time periods of video on the DVR. A CD/DVD recorder, Flash drive connection, or other device may also be used to copy the digital video file to another transportable media (this may be necessary to provide to police, insurance companies, as evidence, etc.). In a wireless security camera to PC system, the same functions are performed but with a few changes. First, the digital video camera does not send its digital video data via the RG-59 coaxial video transmission cable. Instead, the camera contains an on-board transmitter and antenna which it uses to send the digital video data via radio waves. There are several different types of radio technology that are used to send the signal but probably the most common is the 2.4 or 5.8 GHz band technology, the same used for land-line based wireless phones. The signal is sent to a corresponding receiver that then sends the signal via a transmission cable to a PC card. Some systems have the receiver built right into the PC card, eliminating the need for a separate receiver. The PC card is usually a PCI type PC card that can be added to one of the computers empty PCI extension slots or bays. The card is designed to capture or process the digital video data and apply the CODEC to create a compact digital video file with high quality. After the PC card processes the video data and creates a digital video file, it then stores the file using the computer’s hard disk drive and the video can be viewed live or reviewed later as the recorded file on the computer’s monitor. As you can see, using a wireless security camera to PC system eliminates the need for the DVR with processor and the monitor, thereby reducing the cost of the overall system. There are several variations of wireless security camera to PC systems that are designed to meet different needs. Contact one of our security experts via live chat or telephone if you would like more information.